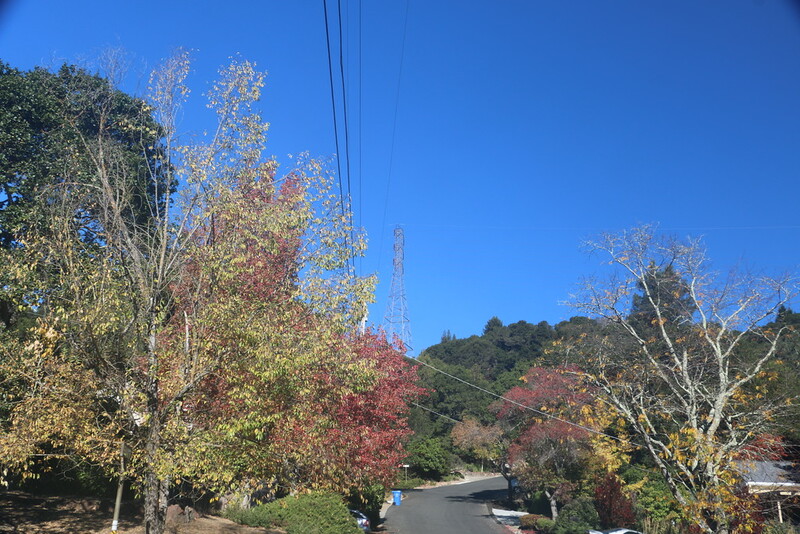 Normally, when you get precipitation in Orinda, we get it here the next day. But these storms we are experiencing now came up from the southwest and as a result of the lingering Hurricane Rosa. Dear Blick and WeatherCat logistics experts, . . . . . 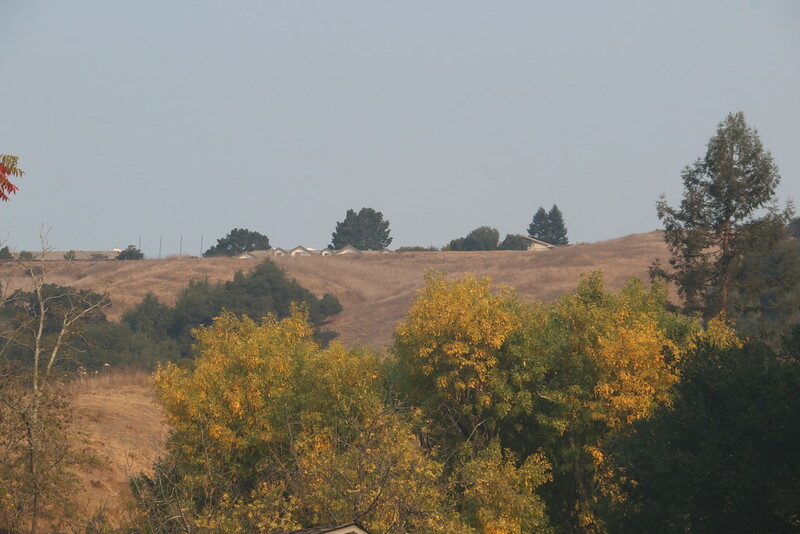 Normally, when you get precipitation in Orinda, we get it here the next day.
. . . . . But of course! That's because I ship the rain to you via next day air!! . . . . . 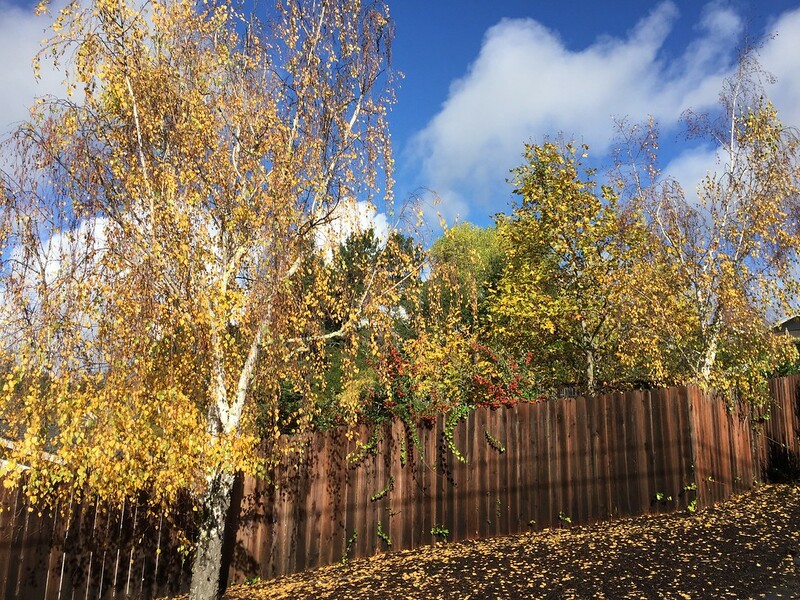 Thus far in Northern California: October days have been hot, the fire threats very real, and Autumn weather remains a promise thus far not delivered. Such are da' conditions that prevail, . . . . . .
Just back from driving the Cabot Trail - in northern NS. Great colour, crappy weather - rain, wind and even a snowfall! Very nice, Bill. Thanks for sharing. Sorry for the difficult conditions, but thanks for sharing the beautiful photo! I'm glad you turned the difficulties into a chance for you to flex your photographic "muscles" so to speak! 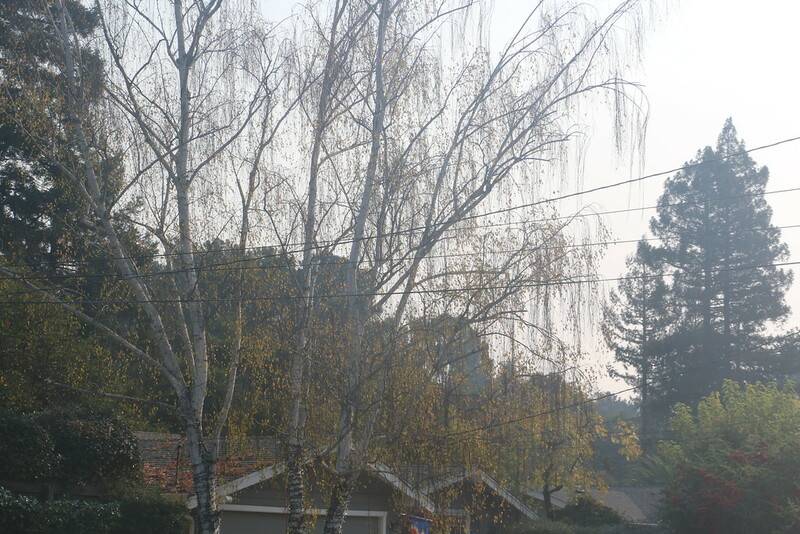 Trees without water are losing their leaves very rapidly because of the wind and extremely low humidities. 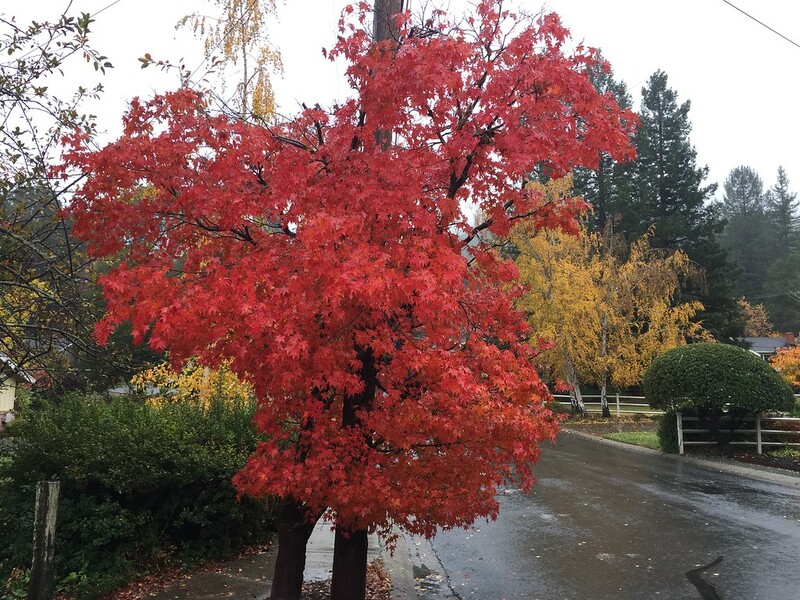 Trees that still have water are benefiting from a longer than normal growing seasons and are not losing their leaves yet. The days remain warm and there is still plenty of sunshine. Such are the paradoxical conditions that are to be found in California these days . . . . . . and that isn't even considering politics!! 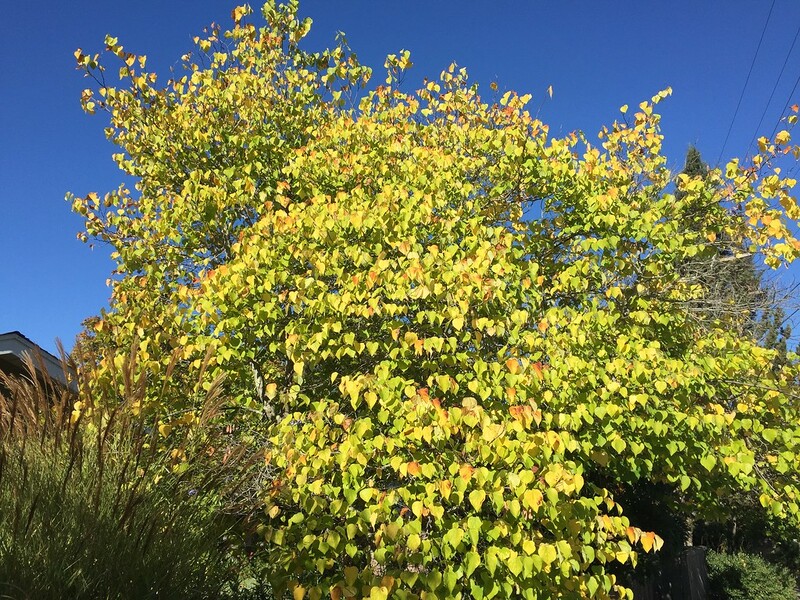 Even so, the yellows of the foliage are clearly muted in the diminished sunlight. Certainly another year of extremes, . . . . . .
Those California fires are powerfully destructive. The one in Southern California came within a mile of my brother's house. That is getting personal. No fancy camera here. Both photos were taken with a now dated iPhone 6. Happy Thanksgiving to all those celebrants in the USofA! Once more captured with my iPhone 6. WOW! 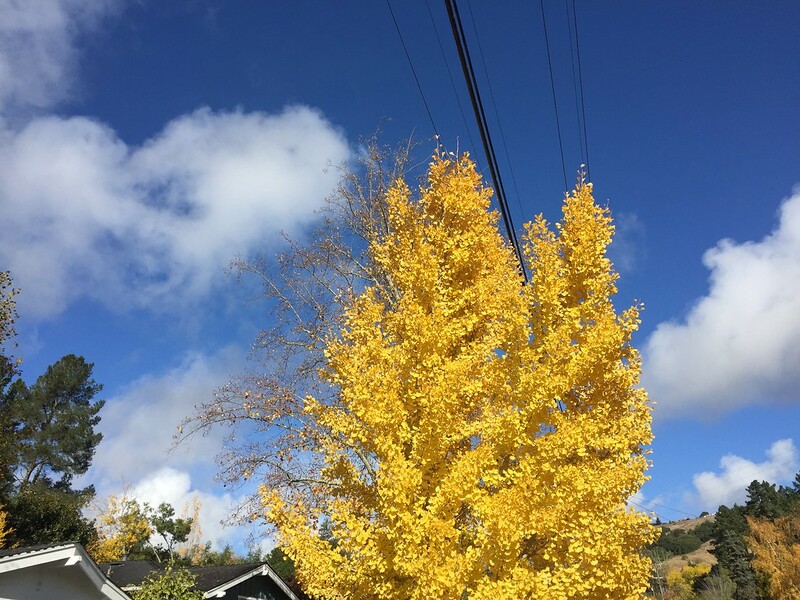 How did you paint that yellow tree with your iPhone?! Nice color Edouard. Your California rain has turned into Utah snow. 15 inches in the last 3 days. Keep it coming. Your California rain has turned into Utah snow. 15 inches in the last 3 days. Keep it coming.
. . . . . Remember, you're askin' for it! . . . . . . . The Monterey office of the National Weather Service has a new "code:" AR. Of course AR stands for Atmospheric River! I'm not sure what the big idea is, but it does appear we have arrived at "Atmospheric River Season." Clearly something new has been added to the West Coast climate and will just have to ride out whatever the weather throws at us.